Obama is proposing a "Fair Share Tax," which is a concrete version of his Buffett Rule - named after billionaire investor Warren Buffett. Throughout his time in the White House, President Obama has pushed for the wealthiest Americans to pay more. The oft-stated goal: to help reduce deficits, help pay for new investments and make the tax system "fairer." Of course, some broad proposals in his 2014 budget would affect people up and down the income scale. For example, he would raise cigarette taxes and change how inflation is calculated. But he also includes several measures that specifically target high-income households. Cap value of tax breaks: As he has proposed before, Obama wants to limit the value of itemized deductions and exclusions for high-income households. Normally a taxpayer multiplies her top tax rate by the amount of a deduction to calculate the taxes saved. But Obama would cap that rate at 28%, which is below the top two income tax rates. So, for example, someone in the 39.6% bracket today would save $39.60 on a $100 deduction. Under Obama's proposal, she would save $28. Besides itemized deductions, the limit would apply to tax-exempt interest, employer sponsored health insurance, retirement contributions and foreign excluded income, among other things. The administration estimates the measure would affect the top 3% of filers. Roughly speaking, that means those making more than $200,000 ($250,000 if married). The proposal would raise an estimated $529 billion over 10 years, making it the single largest revenue raiser in Obama's budget. 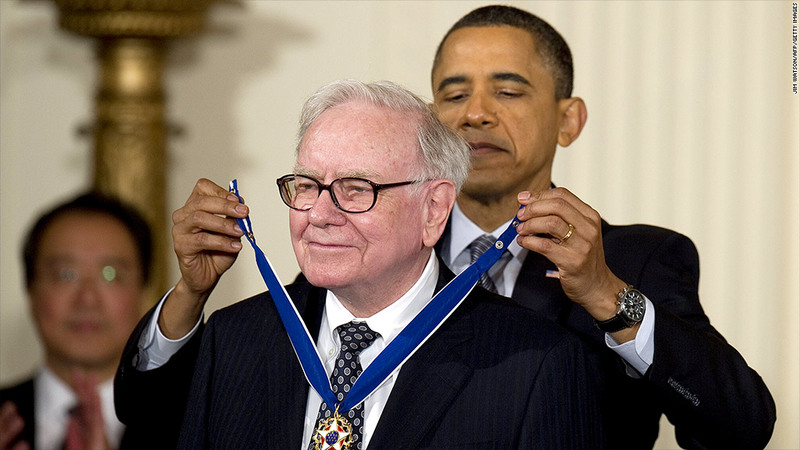 Enact a Buffett Rule: In 2011, Obama proposed the "Buffett Rule" as a guiding principle for tax reform. The idea: to make sure that people earning more than $1 million don't end up paying a lower overall federal tax rate than many middle class taxpayers. His budget this year proposes the more concrete "Fair Share Tax." It would impose a minimum 30% effective federal tax rate on people with adjusted gross incomes above $1 million, although it phases in for those making between $1 million and $2 million. The income threshold would be adjusted for inflation every year. Taxpayers would get a break for charitable contributions when calculating what they would owe. Last year, the Tax Policy Center estimated that about 0.1% of all households would owe more as a result of a Senate bill nearly identical to Obama's Fair Share Tax. The average tax increase for those affected? About $173,000. All told, the proposal is estimated to raise $53 billion over 10 years, without a cap on itemized deductions. Increase the estate tax: The president is again calling for the federal estate tax to revert to 2009 parameters. Under those parameters, the first $3.5 million of one's estate would be tax-exempt and the portion above that would face a top tax rate of 45%. That would be a bigger tax bite than the current estate tax, which was made "permanent" by the fiscal cliff deal passed at the start of the year. That deal set the exemption level at $5.25 million adjusted for inflation and the top rate at 40%. The Treasury Department estimates the change would raise $72 billion over a decade. Impose new limit on tax-advantaged retirement accounts: Obama would limit the tax-advantaged portion of an individual's retirement savings. The value of defined contribution plans like 401(k) and IRA accounts, as well as defined benefit pensions, would count toward the limit. The account balance threshold would be based on what could finance an annuity of $205,000 a year in retirement. In 2013, that would be $3.4 million for someone age 62, or $3 million for someone age 65. The Treasury estimates the proposal could raise $9 billion over a decade. Raise tax rate on investment fund manager income: Managers of private equity, venture capital and hedge funds are taxed 20% on the portion of their compensation known as carried interest, essentially paying the long-term capital gain rate. Obama wants carried interest to be treated as ordinary income. The result: wealthy fund managers could pay a rate as high as 39.6%, or more than 2.5 times the rate they pay now. The proposal is estimated to raise $16 billion over 10 years. Raise Medicare premiums: Currently, higher income Americans pay more in premiums than the average enrollee for Medicare Parts B and D. Those are the Medicare programs that cover doctor visits and drug costs. The higher premiums are paid by individuals with incomes over $85,000 ($170,000 for married couples) -- a lower threshold than typically considered high income. Obama has called for a further increase in their premiums by 2017. He also made a second proposal that would capture even more people. Right now, the $85,000/$170,000 income thresholds are frozen through 2019 and then will start to adjust for inflation. But Obama has proposed to freeze those thresholds until 25% of all Medicare beneficiaries meet them. Currently only about 5% of those in Part B and 3% in Part D are already paying higher premiums, according to the Kaiser Family Foundation. The proposal would raise an estimated $50 billion over 10 years.